A-Level Music involves studying music at a deeper level. It consists of three elements: Performance, Composition, and Appraising. You will plan and perform a recital on your chosen instrument, write your own composition, learn how to write in the styles of other composers, and study several key pieces of music in diverse styles, and from a wide historical period. Johannes Brahms once said: “Study Bach. There you will find everything”. The listening exam has elements of this, with the study of music from the Western Classical Tradition, alongside music from various other genres including film, rock, jazz and the theatre. A keen and open ear is required if you are to get the most out of A-Level Music; a willingness to listen to music that may be alien to you; an urge to analyse a variety of music and use this creatively for your own compositions; and most importantly, to avail yourself of every playing opportunity in and out of school. It is recommended that those students embarking on this course have achieved at least Grade 5 or equivalent on their instrument and have a good understanding of music theory. What can I expect to learn in Music? The set works are in a variety of styles and from a range of different periods in music history. The course is essentially creative, develops analytical skills, demands excellent time-management skills, requires dedication to practising an instrument, and fosters talent: all skills which universities and employers regard highly. Where could Music take me? The school has a choir, a concert band, a big band, a swing band, a guitar ensemble, a string group, a brass group, and various jazz ensembles. There are at least two concerts per term including a two-week Music Festival, where the coveted prize of Musician of the Year is awarded. There are also music tours visiting various countries and an annual musical production. Music naturally combines well with other arts subjects, but also complements any subject as it is practical and develops many diverse skills. Many past students have gone on to read Music or Popular Music at university or music college. Arts management and event planning are also routes taken by Music students. 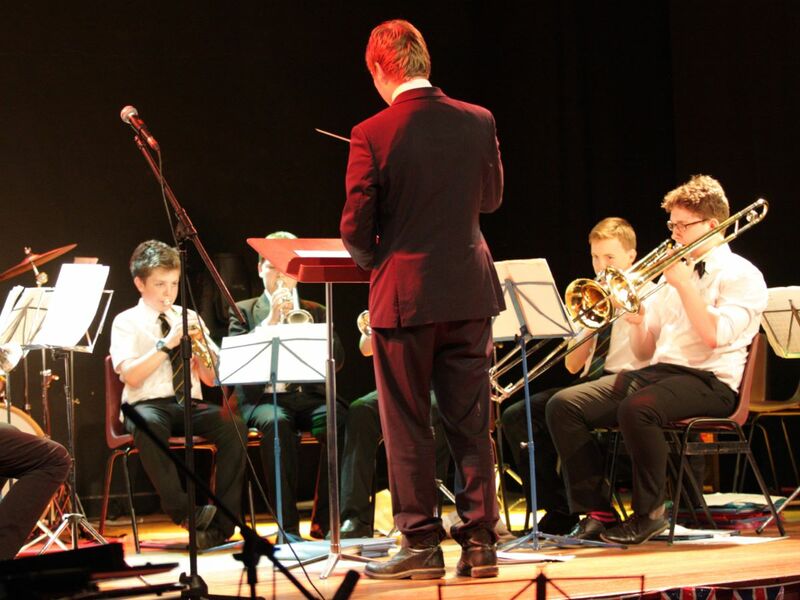 The vast extra-curricular programme and varied musical life at The Bishop’s Stortford High School ideally prepares students for these exciting options.